The death occurred, peacefully in St Vincent's Private Hospital, Dublin, on Tuesday, October 23 of James Donnelly, St Brendan’s, Dublin Rd, Longford Town, Longford. James will be forever missed by his loving wife and best friend Eileen. In life I loved you dearly, In death I love you still, In my heart you will hold a place, No one will ever fill. Rest in Peace. Removal arriving to St Patrick's Church, Drumshanbo, Co Leitrim on Thursday, October 25 for prayers at 7pm. Funeral Mass on Friday, October 26 at 11am followed with burial in New cemetery. Family flowers only please. House Private Please. The death occurred on Monday, October 22 of Rose Alcock (née Finnegan), Glasnevin, Dublin and formerly Marahill, Ballinagh, Co Cavan. Beloved wife of the late Matt and mother of Gerard, Marie, Karen, Orla and the late Brendan. Rose will be sadly missed by her loving family, brother Dan, grandchildren Katie, Amy, Moya and Bronagh, son-in-law Brian, daughter-in-law Louise, her nieces, nephews, relatives and friends. Rest in Peace. Reposing at her residence on Thursday, October 25 between 5pm and 8pm. Removal on Friday, October 26 to the Church of Our Mother of Divine Grace, Ballygall Road East arriving for 12 noon Requiem Mass followed by funeral to Glasnevin Cemetery. No flowers, please. Donations, if desired, to Stewarts Hospital, Palmerstown. The death occurred on Monday, October 22 of Lucy Brady (nee Carolan), Mullinroe, Dring, Co Longford, peacefully at the residence of her daughter Caroline Harten, Carnagh Upper, Kilcogy, Co Cavan. Predeceased by her husband Tommy, children Imelda and Thomas, son-in-law Sean and grandson Paurig. Deeply regretted by her loving daughters Annette Fitzsimons, Mullahoran, Co Cavan, Patricia Kiernan, Kilcoone, Co Meath, Lucy Callaghan, Derrycasson, Dring, Co Longford and Caroline Harten, Mullahoran, Co Cavan, sons-in-law, brothers Kevin and Pete, USA, sisters-in-law, brother-in-law, 14 grandchildren, nephews, nieces and a large circle of friends. Rest In Peace. Funeral Mass on Wednesday, October 24 in St Columba's Church, Mullinalaghta at 11am with cremation at 1.30pm in Lakelands Crematorium, Dublin Road, Cavan. 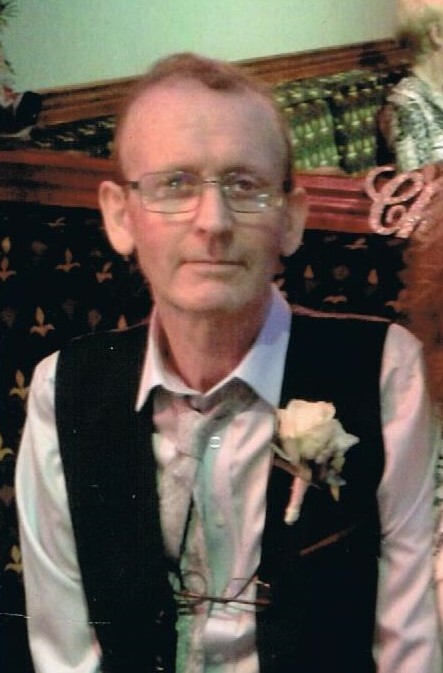 The death occurred on Tuesday, October 23 of Padraig Flynn, Driney, Drumcong, Co Leitrim, peacefully at home. Predeceased by his father James. Deeply regretted and sadly missed by his loving mother Elizabeth, brothers Sean (Dublin) and Seamus (Drumshanbo), sisters Ita (Drumshanbo), Maura (England) and Geraldine (Galway), sister-in-law, brothers-in-law, nieces and nephews Kyle, Aaron, David, Colm, Luke and Enya, grandniece Chloe, relatives, neighbours and friends. Rest In Peace. Reposing at St Patrick's Hospital, Mortuary, Carrick-on-Shannon on Thursday evening October 25 from 4.30pm until 6.15pm with removal to Brigid's Church, Drumcong arriving at 7pm. Mass of Christian Burial on Friday, October 26 at 11am with funeral afterwards to adjoining cemetery. Family flowers only, donations in lieu, if so desired, to a charity of your choice. The death occurred on Monday, October 22 of James ‘Jimmy’ O'Connell, Lisduff, Elphin, Roscommon, peacefully in the loving care of the staff at the Sacred Heart Hospital, Roscommon.He will be sadly missed by his sorrowing sisters Sarah and Mary, nieces and nephews, relatives, neighbours and friends. Rest In Peace. Reposing at McHugh's Funeral Home, Strokestown, on Wednesday, October 24 from 6pm followed by Removal at 7pm to Kiltrustan Church. Funeral Mass on Thursday, October 25 at 11am. Burial afterwards in Kiltrustan Cemetery. The death occurred on Saturday, October 20 of Bridget ‘Bridie’ Tidbury (nee Woods), Lough Rynn Drive, Tawnaghmore, Mohill, Leitrim. She will be sadly missed and remembered with love by her family, husband Valmor, daughters Fiona, Loretta and Carmen, sons Conrad, Brendan and Nigel, sister in law, brothers in law, son in law Eamon, daughter in law Tracey, grandchildren Edward Jnr., Carmen, Ethan, Courtney, Brooke, Rhys, Konrad and Amy, nieces, nephews, relatives and friends. May she rest in peace. Reposing at Glennon’s Funeral Home, Ballinalee Road, Longford, on Wednesday, October 24 from 6pm until 8pm, concluding with prayers at 8pm. Removal on Thursday, October 25 to arrive at St Mary’s Church, Gortletteragh, for private Mass of the Resurrection at 12.30pm, interment afterwards in Mohill Cemetery. Family flowers only please donations if desired to Sligo Hospice. c/o Glennon Funeral Directors or any family member. House private please. The death occurred on Monday, October 22 of John James Winters, Derreen, Drumcong, Co Leitrim, in the loving care of the staff of Arus Carolan Mohill. Beloved husband of the late Josephine and father of Gerry and Pat. Sadly missed by his loving sons, daughters- in-law, Pauline and Gemma, Grandchildren, Andrew, Peter, Karl, James, Zack, Adam and Ben. Sisters Rose and Bridie, sister in law Maureen, brother in law Brendan, nephews and nieces, relatives and friends. May he Rest In Peace. Funeral mass at 11am in St Bridget's Church, Drumcong on Wednesday, October 24. Burial afterwards in adjoining cemetery. The death occurred, peacefully, in the loving care of her family and staff at Castlemanor Nursing Home, Cavan, on Monday, October 22 of Margaret McGahern, Corfree, Loch Gowna, Co Cavan. Predeceased by her husband John F (Sonny). 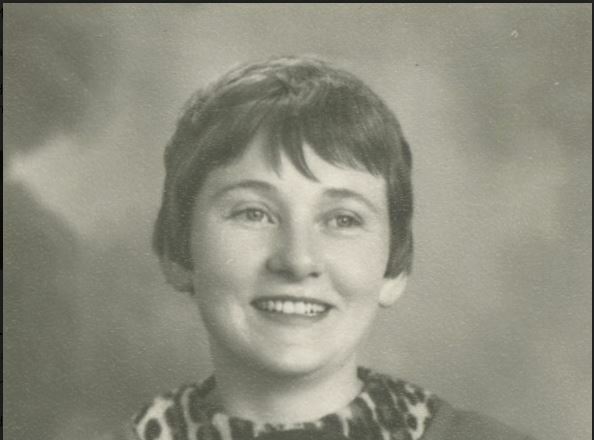 Deeply regretted by her loving family; Maureen Smith (Gowna) Pat McGahern (Rathoath), Rosaleen Sheils (Drumcondra), Kathleen Lee (Longford), Noeleen Conneely (Castleknock), Sean McGahern (Gowna), sons-in-law; Paddy, Gus, Seamus and Padraic, daughters-in-law; Anna and Una. Also sadly missed by her grandchildren, great grandchildren, extended family and a large circle of close neighbours and friends. Rest In Peace. Reposing at her residence in Corfree on Wednesday October 24 from 12 noon to 4pm, with removal to the Church of the Holy Family, Loch Gowna to arrive for 7pm. Requiem Mass on Thursday, October 25 at 12 noon with burial afterwards in the adjoining cemetery. Family flowers only please. House private all other times. The death occurred on Sunday, October 21 of Josephine Gilmartin, Corryard Court, Drumshanbo, Leitrim and formerly of Greaghfarna, Drumshanbo, peacefully at Drumderrig Private Nursing Home. Josephine, beloved sister of the late Maura McGovern. She will be sadly missed by her nephew, and nieces. Rest in Peace. Funeral Mass on Wednesday, October 24 at 12 noon in St Patrick’s Church followed by burial in adjoining cemetery. The death occurred on Monday, October 22 of Seamus Meade, Killinure, Glasson, Athlone, Westmeath, late of Assumption Road, peacefully. Predeceased by his parents Maureen & John, brother Anthony and sister Josephine. Sadly missed by his loving wife Regina, brothers John, Liam, Michael, Patrick, Francis, Edward & Paul, sisters Cora, Maureen, Rosemary & Ann, nieces, nephews, in-laws, relatives and many friends. Rest In Peace.